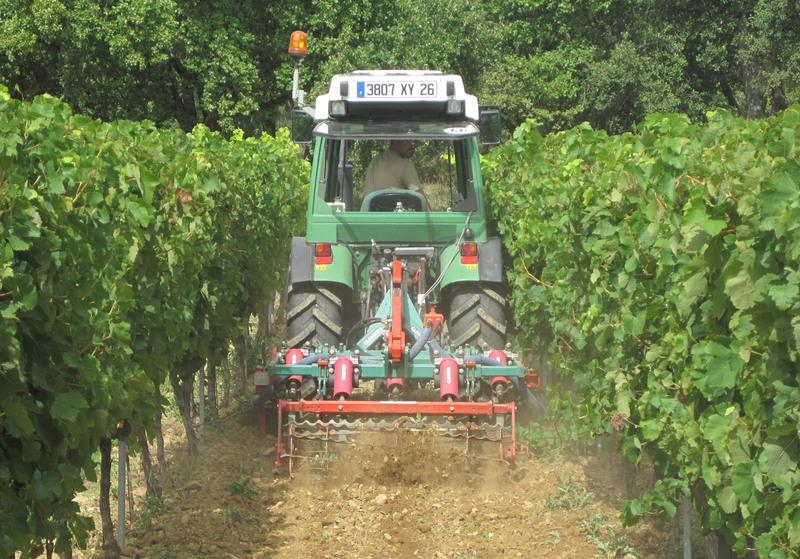 With the TERACTIV DUO, you have the option of cultivating either the entire row or just the area around the vine in a green row. 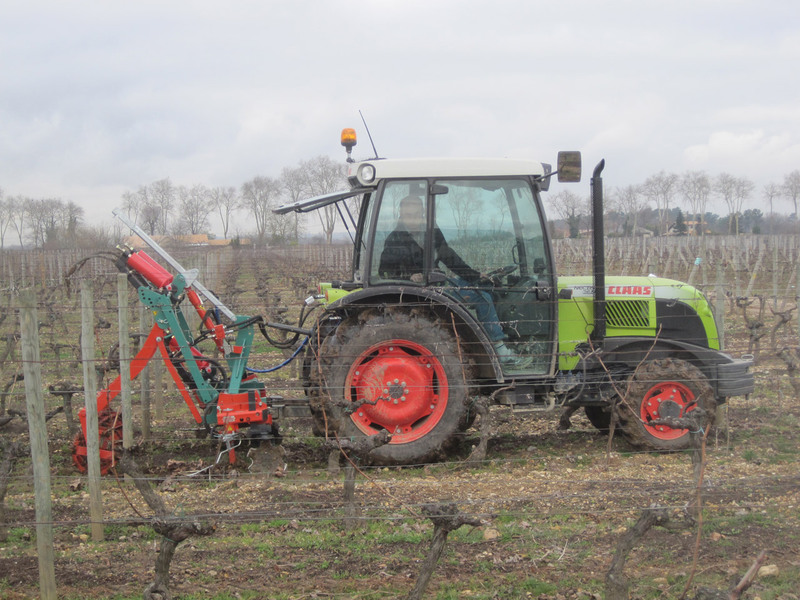 To make this possible, the frame with its flexible tines lifts through at an angle of 75° and the roller folds under. This stabilises the frame when working in the area between vines, as it rests on the grass track. 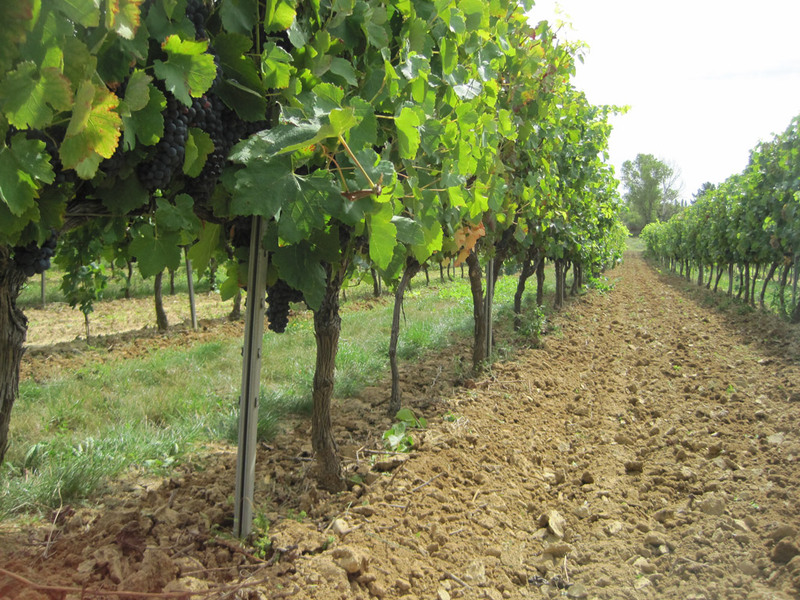 This allows it to move smoothly and maintains a consistent working depth in the area around the vines. The width of the stable frame can be adjusted from 43.30 in to 62.99 in (models that can extend to 82.86 in are also available). 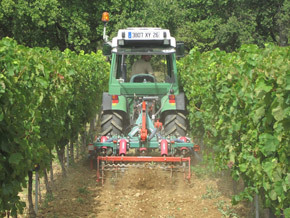 The frame on which the Radius machine works between the vines is mounted and can be adjusted hydraulically. 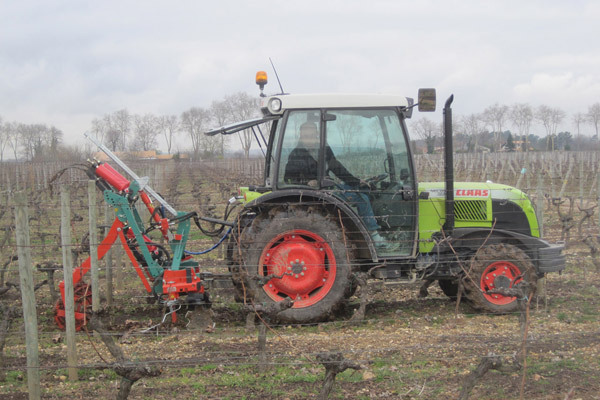 You have the option of fitting the frame with 3, 5, 6 or 7 flexible tines, depending on the width of the frame and how loose you want the soil.